Below you can find the answers to the questions that patients most often ask about vein removal at our Tampa vein treatment center. 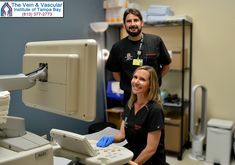 These questions and answers can help you know what to expect so you can be prepared for your upcoming vascular surgery at The Vein and Vascular Institute of Tampa Bay. What is the EVLT procedure? The EVLT (Endovenous Laser Treatment) procedure is a minimally invasive varicose veins treatment for superficial venous reflux. A thin catheter is inserted into the vein through a small opening. The catheter delivers laser energy to the vein wall, causing it to heat, collapse, and seal shut. How is the EVLT procedure different from vein stripping? With the EVLT procedure, there is no need for groin surgery. Instead, the vein remains in place and is closed using a special laser catheter inserted through a small puncture. This may eliminate the bruising and pain often associated with vein stripping (i.e. that may result from the tearing of side branch veins while the saphenous vein is pulled out). Vein stripping is usually performed in an operating room, under general anesthesia, while the EVLT procedure is performed on an outpatient basis, typically using local or regional anesthesia. The procedure takes approximately 45-60 minutes, though patients normally spend about 2 hours at our vein clinic due to normal pre- and post- vein treatment procedures. Patients report feeling little, if any, pain during and after our varicose vein removal procedures. Tumescent solution is a local anesthetic that our vascular surgeons use to desensitize the treatment area. Patients may experience some bruising or swelling immediately following varicose vein removal procedures. Long term, our patients report little to no scarring in the treatment area. Patients are walking immediately following their varicose vein removal procedure; they typically resume normal activities within one day. Strenuous activities should be avoided for the first 2 weeks. Do varicose vein removal procedures require anesthesia? All varicose vein removal procedures are performed in our vascular institute using only local anesthesia allowing patients to literally walk out of their procedure, thus, avoiding the need for extended recovery and avoiding the side effects from general anesthesia. How soon after vein treatment will my symptoms improve? Most patients report a noticeable improvement in their symptoms within 2 weeks following their vascular surgery. The vein simply becomes fibrous tissue after treatment. Over time, the vein will gradually incorporate into surrounding tissue. One study reported that 89% of treated veins are indistinguishable from other body tissue one year after the venous closure procedure was performed. Not too many patients like to wear medical compression stockings, but sometimes pressure dressings are all that is necessary for the treatment of varicose veins and spider veins. While wearing these stockings, some patients often report a decrease in their symptoms. However, for many people it is not practical or convenient to wear them on a regular basis, especially in Florida. Are there any pills or creams to treat spider veins and varicose veins? There are some oral medications and ointments that have been used to treat varicose veins and spider veins. These venotonic agents include horse chestnut extract, venostat, diosmin, hidrosmina, venosmil, rutosides, flavonoids, and assorted vitamins and minerals. However, patients have not seen significant improvement and there is very little scientific evidence to support their effectiveness. Are laser treatments effective for superficial spider veins? Laser treatment for spider veins on the legs has not proven to be very effective. 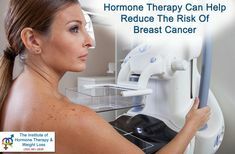 It is not pain free and sometimes leads to scarring. It is also more expensive. Therefore, we do not recommend it. Are Sclerotherapy Injections effective on all types of veins? Yes, most of the time Sclerotherapy is effective in removing spider veins and varicose veins. However, sometimes other vein removal procedures may be required and the doctor will inform you if this is necessary in your particular case. What kind of solution is injected? Is it safe? The solution used in Sclerotherapy Injections is a medication that has been approved by the F.D.A. which has been used successfully for many years. In our extensive experience, we have seen no significant adverse side effects. Will I have to stay in bed after the Sclerotherapy treatment? No! We want you to continue your normal activities. The only restriction is to avoid heavy exercise and swimming on the day of and day after the Sclerotherapy treatment. Most activities may be resumed the following day. Varicose veins are a burden on your circulation. Because the blood inside them is refluxing (going backwards), correcting the flow can only improve your circulation. In treating varicose veins, we eliminate only the bad veins and safeguard the healthy veins for normal blood circulation in the legs. Is it okay to postpone vein treatment? As you probably know, postponing any type of vascular surgery can have its drawbacks. Varicose vein disease is a progressive disease that, if left untreated, will only get worse. When making a decision about your varicose veins, keep in mind that the sooner you get your veins treated, the easier they are to treat and control. Why is it important to choose a Board Certified Vascular Surgeon for vein removal? It is very important to choose a Board Certified Vascular Surgeon when looking for vein treatment because vascular surgeons who are Board Certified are specially trained in the diagnosis and treatment of vascular disorders and have had more intense training in vascular surgery than any other vein doctors. Sometimes it is necessary to treat an arterial problem, before the vein problems are treated, to prevent further complications! 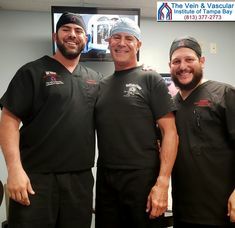 Unfortunately, so-called “Vein Centers” have sprung up around the country, some with untrained vascular doctors performing incorrect, unnecessary or poorly completed vein treatments. Sadly, it has been reported that some patients have suffered skin loss, tissue damage, large ulcerations, and even limb loss from vein injections that were performed by inexperienced and unqualified technicians at cosmetic "Vein Centers". 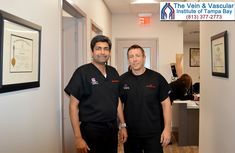 Fortunately, the Board Certified Vascular Surgeons at The Vein & Vascular Institute of Tampa Bay are trained and able to practice all the available vascular treatment methods including laser varicose vein removal, Sclerotherapy Injections, and Phlebectomy. All these vascular surgery procedures are minimally invasive and allow patients to return to their normal activities immediately and enjoy minimal to no scarring as well. What should I expect during my first visit at The Vein & Vascular Institute? During your initial visit, you will be given a comprehensive medical evaluation and you will be asked a series of questions. 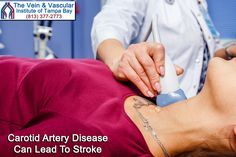 Based on your answers and your medical condition the vascular doctor will determine if you need further diagnostic testing. Also, the doctor will discuss the best vascular treatment options for your specific medical condition. Your medical file is handled with the utmost respect for your privacy. Our staff at The Vein & Vascular Institute of Tampa Bay are bound by strict confidentiality requirements as a condition of employment regarding your medical records. Ordinarily we will not release the contents of your medical file without your consent. Will I have to pay a copayment? We are a participating member of most insurance plans. Please call our office to confirm we are a provider on your plan. 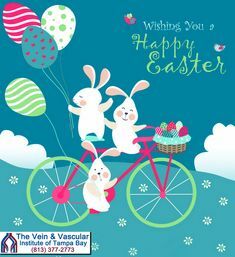 If you did not find the answers you were looking for here, feel free to ask our vascular surgeons any question you may have about getting vascular surgery at The Vein & Vascular Institute of Tampa Bay. Just fill out the form below with your question and our vascular surgeons will answer it as soon as possible. In case you need a more immediate response, you can call our Tampa vein clinic at (813) 377-2773 because your concerns matter to us.